In 1937 Patrick Macdonald started his first ever food stand on Route 66 near the Monrovia Airport in Monrovia, California. Selling Hot Dogs, 10 cents Hamburgers and all-you-can-drink Orange juice at just 5 cents. His son’s took his idea and in 1940 created MacDonald’s Bar-b-q with 25 food items of barbecue food at West 14th and 1398 North E Streets. 8 years later and it had started to become clear that their biggest seller was Hamburgers, this then led to a revamp of the company with a new streamlined system and menu consisting of just hamburgers, cheese burgers, French fries, shakes, soft drinks and apple pie. They also eliminated the carhop asset of the company to create a more self-serve operation, with an assembly line kitchen. The company was renamed to simply ‘MacDonald’s’ and re-opened in December 1948.
in 1952 with the help of Stanley Clark Meston, a new sharper design for MacDonald’s was created including the famous 25-foot ‘golden arches’ made out of sheet metal trimmed in neon. The brothers took Meston’s rendering and began seeking franchisees and found Neil Fox, a distributor for General Petroleum Corporation. Fox’s stand was the first to showcase Meston’s golden arches design and opened in MAy 1953 on North Central Avenue, Phoenix, Arizona. Fox’s Brother-in-laws followed suit and opened a secondary stand at Lakewood Boulevard, Downey, California in August 1953, this stand is the current oldest surviving MacDonald’s Restaurant. As it was franchised by the MacDonald brothers themselves it was not required to update and modernise like those stands franchised under the MacDonald’s Corporation, however it was acquired by the corporation, remodelled as per the original but modern working design and an adjacent Museum with gift shop to commemorate the site. It was upon meeting Ray Kroc in 1954, that the brothers were introduced to the idea of taking their self-serve operation national. Kroc personally took on the responsibility of setting up the new franchises elsewhere and returned to his home outside of Chicago with rights to set up more MacDonald’s restaurants. He opened the first one in Des Plains, Illinois in April 1955, it was opened under the company McDonald’s Systems, Inc and later became known as MacDonald’s Corporation. By 1959 there was 102 operational restaurants under Kroc. The company, with assistance from marketing continued to grow add in the US Automobile and suburbanization meant that in 1961 Kroc bought out the MacDonald brothers for $2.7 Million with plans to make MacDonald’s the number one fast-food chain in the country. in 1965, Macdonald’s went public, with common shares offered at $22.50 per share, this quickly rose to $30 by the end of the first day. in 1980 MacDonald’s corporation became one of the 30 companies to make up the Dow Jones Industrial Average. By 1976 Macdonald’s had sold 20 billion Hamburgers and sales exceeded $3 Billion, with one-fourth of all American breakfasts eaten out purchased from Macdonald’s. In 1974 Macdonald’s gave back to the community by providing its first Ronald MacDonald house in Philadelphia, providing a home away from home for families of children in hospital. In 1976, after much deliberation the first International MacDonald’s opened in New Zealand at Porirua, near Wellington. By the early 1990s the company had established itself in 58 foreign countries and operated more than 3,00 restaurants outside of the United Sates, with its strongest markets in Japan, Canada, Germany, Great Britain, Australia and France. Although it took MacDonald’s 33 years to reach its 10,000 restaurants mark by 1997 the total had surpassed 23,000 with majority of growth coming from outside United States, including the Middle East. MacDonald’s showed continuous flexibility with respect to local food laws by providing bot Halal and Kosher menus, even removing beef from the menu and replacing it with lamb for the Indian restaurants. MacDonald’s started to invest in other food retailers, starting with Colorado based Chipotle Mexican Grill. MacDonald’s later went on to invest in more businesses outside of the burger business, in 1999 they bought Aroma Café, a UK upscale coffee and sandwich shop which was then sold off in 2001. Later that year MacDonald’s also added Donatos Pizza, and in 2000 they made their largest acquisition in the form of Boston Market chain for $173.5 Million in cash and debt. They rounded out their acquisition see by purchasing 33% stake in Pret a Manger. Although MacDonald’s has always been a famous name and a popular one at that it seems its US branches are closing faster than they are opening. Executives told the Associated Press that the US Sales have been on the decline for the past 5 years. 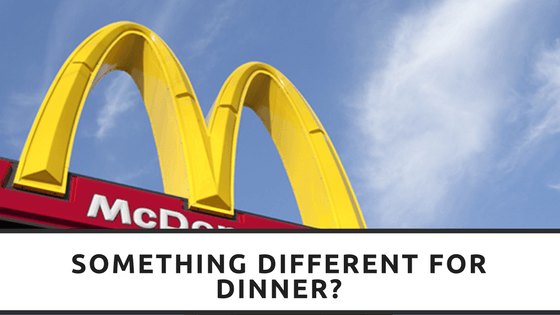 This means that 700 of its underperforming restaurants will close this year, Former CEO Don Thompson felt this is due to the changing attitudes of the US consumers creating one of the greatest challenges for MacDonald’s. On the other side of the world though it appears sales are up and hundreds more restaurants are due to open particularly in Europe and Asia, with France being the most successful market investing 200 million Euros to expand more. It is believed that the French restaurants are far more superior and sophisticated than its American counterparts, with touch screen order consoles, elevated McCafe and a Blue Cheese Burger. America has tried these improvements but find that the large company fleet make it difficult to implement new ideas. So it appears that although America is its founding country MacDonald’s is much more appreciated in Europe and Asia, will this cause any major changes within the company itself or do they hope years of being America’s number one fast-food restaurant will save the day?? Only time will tell.